Level I charging can be done at home with a regular wall outlet. 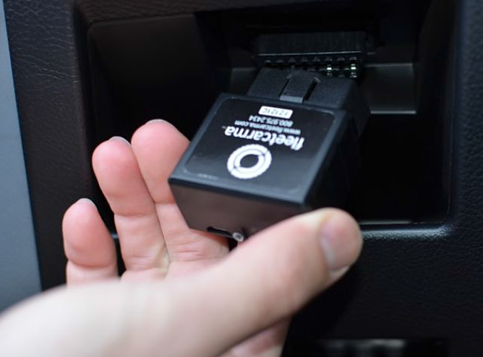 Although many EV drivers are content with just a “trickle charge” from a regular outlet, homeowners can also install a Level II charging unit at home. EV drivers can also rely on public charging stations for Level II or DC Fast Charging (DCFC). Fast-charging stations are available only publicly. 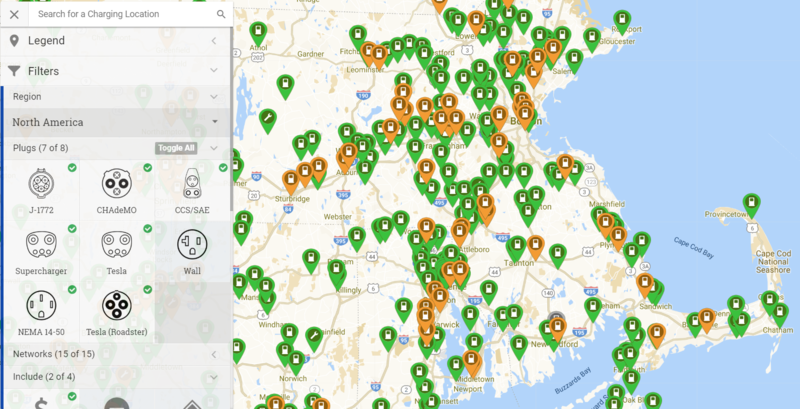 There are currently 592 public sites for Level II and DC Fast charging in MA; many have multiple ports, or charging outlets, for a total of 1,715 charging outlets. Rhode Island has 86 Level II and DCFC public charging sites, with 234 charging outlets, according to the Department of Energy’s Alternative Fuels Data Center. For comparison, as of 2014, there were about 2,000 public gasoline stations in MA and about 350 in RI, and those numbers have been decreasing steadily since the mid-90s. There need to be more public charging stations to meet growing demand for EVs and make it feasible for more people to switch to electric cars. Because charging an EV takes more time than refueling a gas tank, it makes sense to place charging stations in places where people will already be parked for a longer period of time, like workplaces, restaurants, or shopping centers. By the way, if you want an easy way to find EV charging stations across the US, we recommend PlugShare. It’s a website and app to find charging ports, with information about the type of plugs available, photos of the spaces, and cost. For more information, visit our website page on charging here. National Grid and Eversource, two of the largest utility companies in Massachusetts, are expanding public EV charging infrastructure using a model called “Make Ready.” Their plan is to own and maintain electric distribution infrastructure (including the distribution network, transformers, and meters), while encouraging organizations or businesses to own and maintain public EV charging stations by offering rebates to decrease the cost of installation. “Site hosts” are the entities that own the charging stations; they can be offices, apartment buildings, restaurants, businesses, or other publicly-accessible sites. Site hosts have a lot to gain by installing charging stations on their properties, including enhancing their public image, attracting tenants or visitors, and improving employee recruitment and satisfaction. By taking advantage of a rebate to install a charging station, site hosts can enjoy the benefits of electrification without incurring as much of a financial burden. Meanwhile, the utility companies benefit by developing more grid infrastructure and profiting off their expanded assets. Eversource will invest $45 million over 5 years to install about 3500 Level II charging ports and fast-charging ports at 450 sites. National Grid will invest $25 million over 3 years to install 1200 Level II charging ports and fast-charging ports at 140 sites. In the second phase of National Grid’s Make Ready program, they will invest $166.5 million in charging station rebates over 5 years. In addition to expanding financing for Level II non-residential charging, Make Ready Phase 2 will begin to support residential charging, under-served communities, and mass transit and car fleets, too. 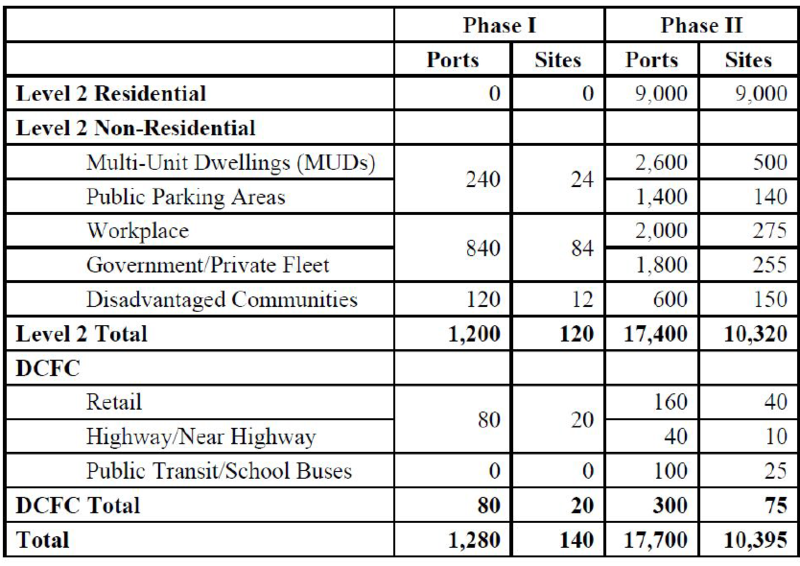 However, Phase 2 has not been approved yet, so these numbers may change. Read more and apply for a Make Ready rebate by clicking the one of the links below or sending an email, depending on the utility in your area. National Grid in Massachusetts has also proposed an off-peak charging rebate, similar to a program that has just started in Rhode Island (details below). After Dieselgate, in which Volkswagen was caught cheating on emissions tests for their diesel cars, the automaker was forced to help fund electrification efforts as part of the settlement for the states’ lawsuits. Electrify America, a subsidiary of Volkswagen, is responsible for expanding EV charging networks to help offset emissions after the scandal. They’re working on installing Level II and DCFC stations in the Boston Metro area, with live sites in Chicopee, Braintree, and Plymouth, and several coming online in Auburn and Burlington soon. Massachusetts also received $75 million from the Volkswagen settlement to fund its own electrification programs. The majority of the first $23.5 million will be for electric buses in Pioneer Valley and Martha’s Vineyard and public EV charging infrastructure, with about $7.5 million awaiting allocation by the Massachusetts Department of Environmental Protection after an open solicitation period. The Dieselgate settlement is also funding workplace charging and multi-unit dwelling charging programs under the Massachusetts Electric Vehicle Incentive Program (Mass EVIP). These programs will cover 60% of the cost of hardware for Level I or Level II charging stations for eligible properties. Enrollment is open for these programs until funding is exhausted. You can apply here for workplaces and here for multi-unit dwellings. Read more about how Massachusetts and Rhode Island are using their Volkswagen settlement funds here. In 2017, National Grid submitted a proposal to the RI Public Utilities Commission to increase gas and electric rates to maintain service reliability and make major upgrades to the system. This proposal passed in 2018 and included a bundle of policies, generally referred to as Power Sector Transformation (PST), to help the state meet its greenhouse gas reduction goals by advancing the EV market. Like the “Make Ready” model, PST authorized National Grid to financially support charging stations without fully owning them. 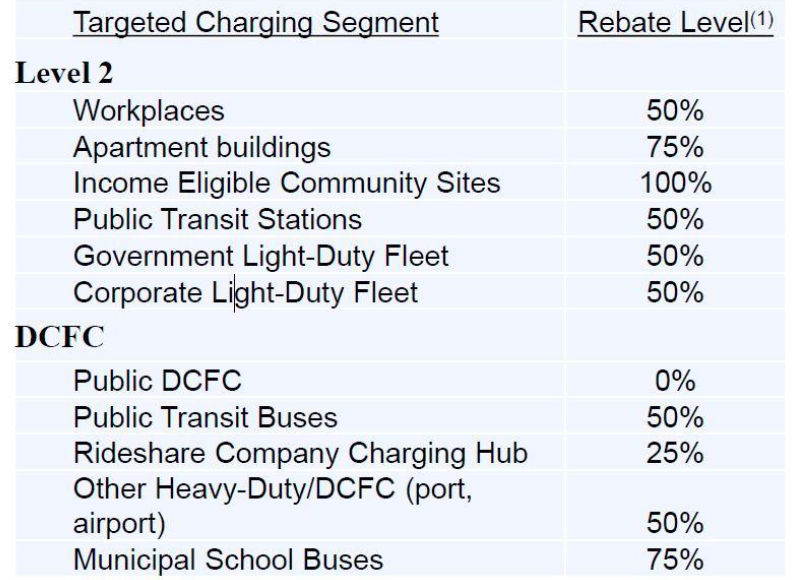 They aim to fund 320 Level II charging ports at 38 sites, in addition to 46 DCFC ports at 12 sites. The value of the rebate depends on the intended use of the charging station. Electric cars are better than gasoline cars for lots of reasons, but we can amplify the benefits of EVs when drivers charge their cars during periods when grid demand is off-peak (i.e., nights and weekends). To study this problem and better understand how EV drivers respond to charging incentives, National Grid is conducting an off-peak charging rebate pilot with the help of FleetCarma. EV drivers who participate in the program will receive rebates for charging their cars during off-peak times (9pm – 1pm) and will get access to their own driving/charging data. The off-peak charging pilot officially launched March 15, and you can participate if you drive an EV and live in Rhode Island! Contact us to get involved. National Grid has made a similar proposal in Massachusetts, and it's now before the Mass. Department of Public Utilities. How can you help drive vehicle electrification? We hope you’ve found this overview to be informative. 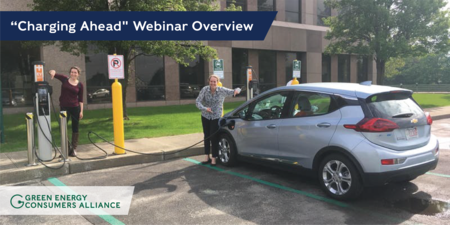 For a review of our February 12 webinar, “What’s New with Drive Green,” click here.